Stretching 85 kilometres out from New Zealand’s North Island like a pointed finge​r, the temperate Coromandel Peninsula is one of New Zealand’s most popular holiday destinations. A haven for New Zealanders who have chosen to live an alternative lifestyle, the Peninsula takes its name from the British warship HMS Coromandel, which anchored in what is now Coromandel Harbour in 1820. Formed by violent volcanic activity thousands of years ago the Peninsula’s sub-tropical climate, pristine beaches and untouched native forests are blessed with some of New Zealand’s best coastal weather. The region still has a number of active geothermal phenomena present such as the hot springs at Hot Water Beach. While the eclectic lifestyles and art of Coromandel is a draw card for some visitors, the real beauty of the Peninsula is in its geological formations and the beaches. 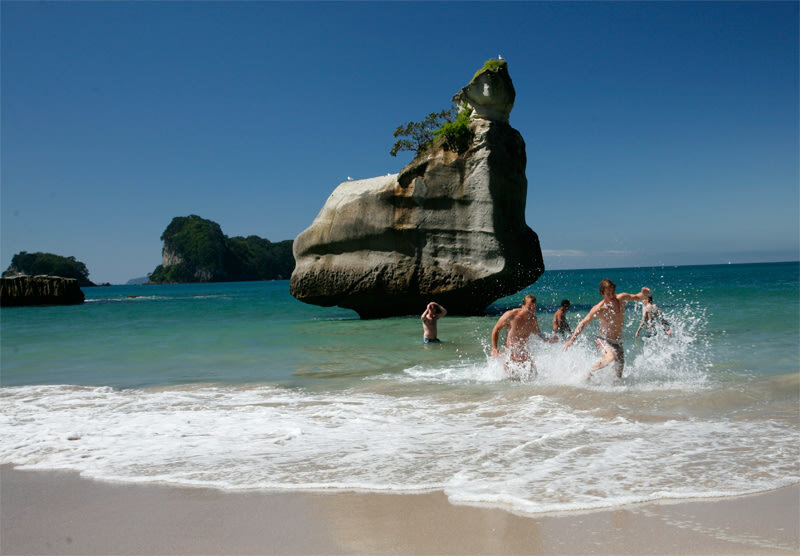 We recommend that you take the spectacular 45-minute coastal walk from Hahei Beach to Cathedral Cove. Here you will discover the magnificent cathedral-like arched cavern that featured in the 2008 movie ‘The Chronicles of Narnia: Prince Caspian’. In the 1970’s, the Coromandel Peninsula became a popular region for those seeking an environmentally aware and hippie lifestyle. The crafty coastal town of Thames is a popular stop-over spot with Kiwi Experience travelers looking for a little history and culture. In Thames, you can browse the independent artisan stores, visit the Goldmine Experience Museum or begin the 3-day, 82km ride on the stunningly beautiful Hauraki Rail Trail. 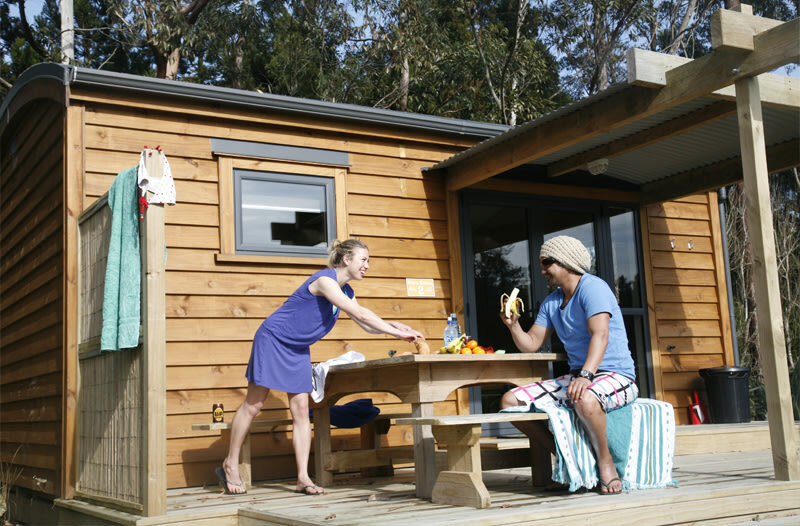 Travelling with Kiwi Experience you are entitled to deals on a big range of activities. 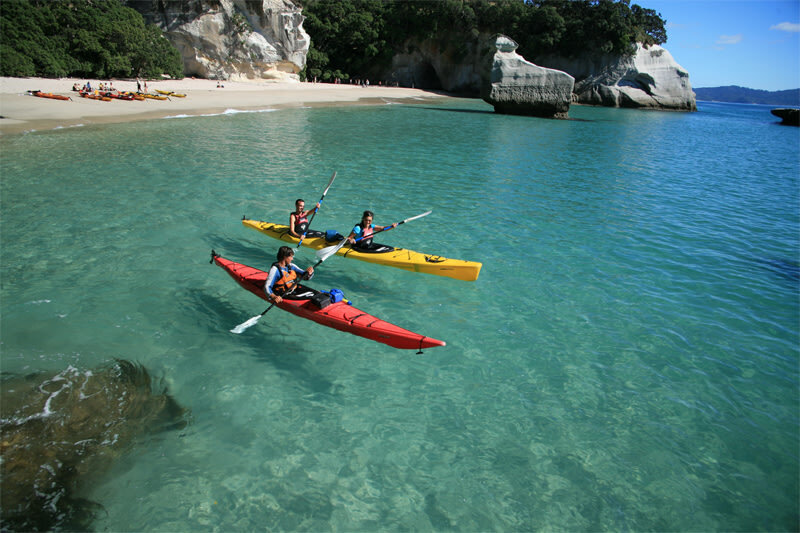 If you want to have a mind blowing experience on the water, your Kiwi Experience Driver Guide can book you a trip with Mike from Cathedral Cove Kayaks. Exploring the Cathedral Cove by sea kayak opens up a hidden world along the coast that is not accessible by road, plus you will get to experience one of the best cappuccinos in New Zealand! 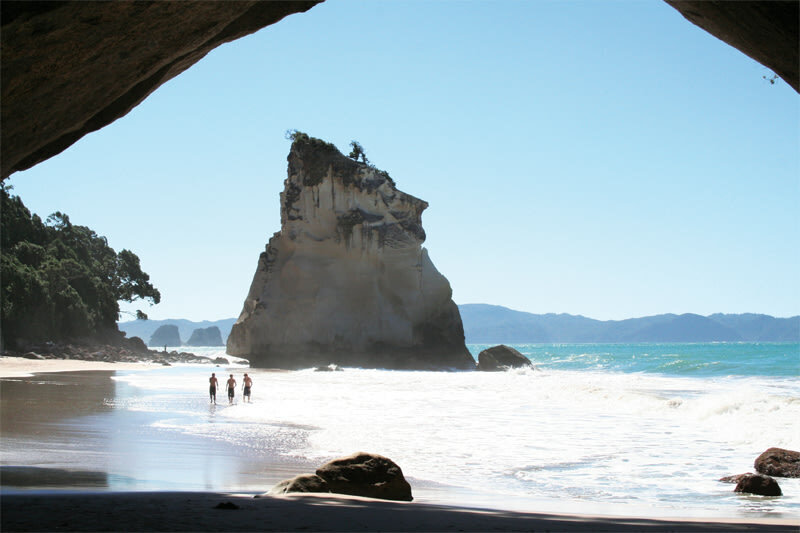 If you love sun, sand and beautiful clear coastal waters, you will love the Coromandel. The area is a fantastic place for some rest and relaxation, and what better way to do it than in your own natural spa at Hot Water Beach? Rated as one of the world’s top 10 beaches by Lonely Planet, Hot Water Beach gets its name from the underground thermal springs that filter up through the sand a couple of hours either side of low tide every day. Grab a spade and bucket from our accommodation for the night and dig your own thermal hot water pool on the beach. At times, the volcanically heated water can reach temperatures as high as 64°C (147°F) so it is advised that you mix some cooler sea water into your personal spa.